After the last blog on `demons in Krishna Lila‘ I thought let me share more anarthas as described in detail in Madhurya kadambini, I also took the help of VIHE book ‘demons in Vrindavana Lila’ to write this blog. This topic also connects with the earlier blog How to change our heart. At one level we hear that bhakti is causeless meaning that there is no cause for bhakti (like pious deeds, austerity, penance, etc. ), bhakti is independent. I heard a beautiful analogy by HH Bhakti Vijnana maharaj, he described how in the material world everything is cause' andeffect’ and this is what science does it focuses on finding cause and it’s effect. 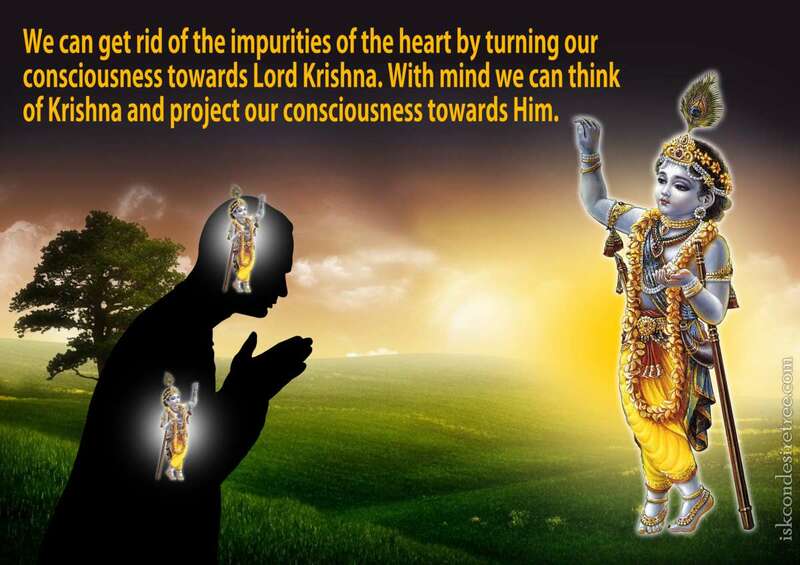 Bhakti, on the other hand, not being from the material wold is `causeless’ ! But still in this causeless realm there is a way, described by Srila Rupa Goswami in his famous verse in Bhakti-rasāmṛta-sindhu 1.1.11, there are nine stages a devotee pass through as we advance in Krishna consciousness. Out of all the above stages anartha-nivrtti is a very important and one of the most bumpy/bouncy/stormy stage to be crossed. There is relative calm before and after this stage but this stage is really choppy waters and troubles devotees most. This is a very important milestone in our spiritual journey and we must make all endeavour to cross it, it won’t happen `automatically’. Hence, once one has passed through the stage of anartha-nivrtti one is able to advance more quickly. Anarthas arising from previous pious activities are attachments to the enjoyments which arise from pious action. Anarthas arising from improper performance of devotional service are a little more subtle, Srila Visvanath Cakravarti Thakura says that, just as, along with the main plant, many weeds grow, similarly, by the cultivation of bhakti there appears acquisition of material wealth and other facilities, worship and respect by others, a comfortable position, fame etc. By their very nature, they have the power to influence the heart of the devotee, grow in size,and cover up the main plant intended for cultivation, bhakti. (these do not include seva aparadhas). Anarthas arising from offenses in devotional service are the ten offenses against the chanting of the holy names: These are standard 10 offenses against the Holy Name, which most of us read every day before starting our rounds. I am not writing them here to save the space. Seva aparadhas do not fit into this category, because they are normally overcome in the course of the performance of one’s devotional service, due to the potency of the devotional activities. Some example of seva aparadhas are entering the temple with shoes, not offering the arti or bhoga in time to the deities, etc. The last and the most damaging aparadh is vaishanava Apradha. I will write about it in a separate blog, it commands top position in apradhas, and can even destroy our bhakti. All glories to Srila Visvanath Chakravarti Thakura. This entry was posted in ISKCON, Mahaprabhu, My spiritual Journey and tagged anarthas, anarthas from previous sins, avidya, bhakti, clean our heart, false ego, Gundicha mandira, how to check our progree in bhakti, how to know our anarthas, ignorance, Krishna, seva apradha, Vaishanva apradha, Visvanath Chakravarti Thakura. Bookmark the permalink. This blog is INSPIRATIONAL AND IMPORTANT…thank-you! Thank you so very much for reading the blog of this shudra. I request you to be kindly be a regular member of the blog and leave your comments, both positive and negative.